Stockholm has an abundant amount of things to do for pleasure and learning, not to mention battling the Scandinanvian coldness in colder seasons. It is surrounded by water after all! Modern museums, art galleries, authentic food, vintage and metropolitan shopping experiences. You name it! Stockholm has a uniqueness about it in terms of its culture and the local’s experience. We’ll start off with Stockholm’s Old Town. Gamla Stan is the city’s heart and soul. It is dominated by medieval streets with cobblestones and architecture. Within the architecture are many contemporary bars, restaurants, cafes and gift and souvenir shops. Formerly known as the Staden (translates to city in English) till 1980, Gamla Stan is also the part of the city where you can find many of Stockholm’s popular attractions. These attractions include the Stortorget, the Royal Palace to the city’s Cathedral and German Church. In general it has plenty of life and character! Make sure you dedicate at least an entire day towards visiting the area. Each station on the blue metro line on the underground metro in Stockholm is decorated with well-done wall art. Visit the Central Station (T’Centrale) if you just want to go to one train station. In my opinion has the best wall art and apparently has a bedroom that is reserved for royal members as well as has a retro train from the 1960s that take you from Stockholm to Gothenburg. Also travelling the city via train is the easiest, most accessible way of getting around. The prices for their 1-day and 3-day passes are quite fair given that prices in Stockholm is generally inflated. In addition there are trains to neigbouring Scandinavian countries such as Denmark and Norway are also possible. If you didn’t know already Sweden is renowned for having the highest quality of meat in Europe. The meatballs and their hot dogs are the stand out. It’s part of a tradition for many Swedes to have meatballs during festive periods. This is similar to an Italian’s affinity with pizza and pasta and a Mexican’s affinity with tacos and burittos. I made it a personal mission to make sure I didn’t miss out on a local’s experience. After dropping off my luggage at my accommodation, I took a trip to Gunter’s Hot Dog food stand. I got myself a hot dog and it was enjoyable. Although I felt the whole eating experience could’ve been better if I was indoors and keeping warm instead of torturing myself in the cold. The meatballs I had during my stay at the Connect Hotel were much better in comparison. They definitely get my British approval! Three words I’d use to describe breakfast in Sweden are – Healthy, Sweet and Efficient. This is particularly when it comes to preparation, setup and taste of the food. Their main breakfast options include cereal, flavoured and unflavoured natural yoghurt, hard-boiled eggs, slices of bread accompanied with butter, slices of cheese and ham, a STRONG coffee and many kinds of fruit juice. If you fancy something more classy and elegant caviar and muesli are foods also adored by Swedes. Swedish pancakes are worth a very good mention too. However they’re not traditionally seen as a breakfast option. Shoutout to Connect Hotel for hooking me with breakfast over my weekend’s stay. This is one activity I unfortunately didn’t tick off from my itinerary. 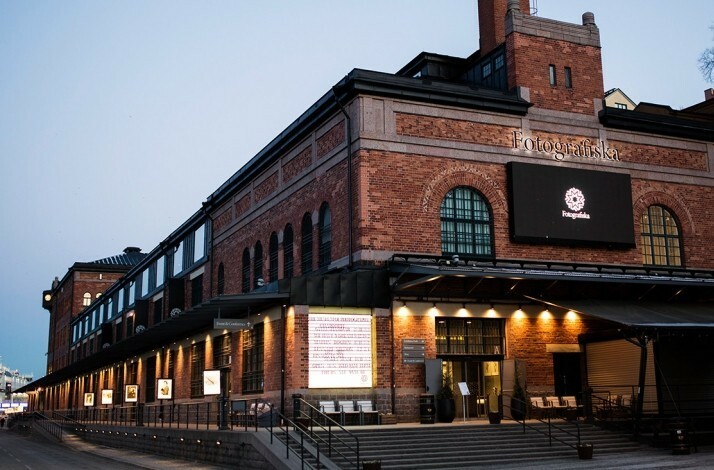 My final one on the list is the Fotografiska Museet, a photo centre in Stockholm dedicated to modern photography. With its major opening 8 years ago, the centre based in the Soderdalm district of the city showcases many forms of inspirational from all corners of the globe in its 20+ exhibitions. 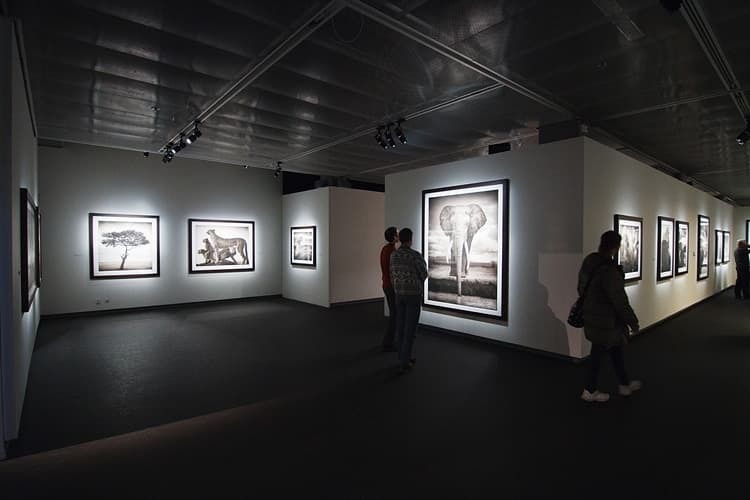 The Fotografiska runs its own academy; they provide courses and workshops for those wanting to start out on photography, as well as looking to improve upon their existing photography skills. Fortunately for me there’s supposedly meant to be a Fotografiska centre that scheduled to open up in London soon. I’ll defintely be checking for it! In conclusion, Stockholm is a great place for some organic food and if you’re fascinated by a bit of art and photography then it’s the right place to be. Special mentions to ABBA museum, Stockholm Public Library and Drottninggatan Street/District where you can find Stockholm’s finest shops. Have you been to Stockholm before? If so, what were your favourite things to do in the city? What activity would you like to do the most? Follow on my socials for posts coming up soon. It’d mean a lot if you can make use of the new share buttons and share this post. Feel free to give it a like too! Thank you 🙂 I still feel like I didn’t explore enough of the city itself. If you are going to do I advise you go in warmer seasons to avoid the worst of the cold. Great suggestions! I’d love to visit Stockholm at some point! I’d love to go to Sweden. Stockholm sounds amazing. Is it true that it’s a cashless city now and you have to pay by card pretty much everywhere?